Are you constantly lacking in staff? Do not know exactly how much you earn? Did suppliers raise their prices again and do not agree to delay payment? Are you running around in circles controlling everything and everybody? Do you want to make it more modern, high-tech, and customer-friendly? Do you want to put all recent trends in management and marketing into it? It is a special proposal for rebranding existing beauty salons. It's high time you were under the wing of the powerful company. Today almost 100 salons in more than 30 Russian cities are operating under our management. we change your signs to ours, so that the revenue of the operating salon is more than doubled. We have been customizing it for more than a year. Effective system to prevent fraud and theft both by customers and the company staff. 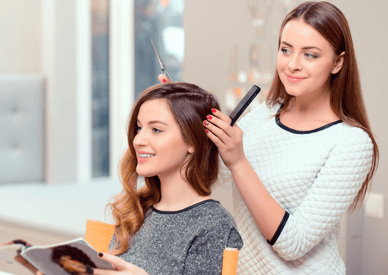 You can easily control the salon remotely. Running a business is as simple as playing a computer game! Tasking and tracking of all your employees. We have invested more than 500,000 rubles in its development and created our brand with the assistance of one of the best creative agencies in Russia. They already know us in more than 30 cities of Russia and the CIS. Almost 100 salons have already joined us. Join us too! In 2 months more than 100 customers a day. Online appointment scheduling system, customer account, synchronization with all social networks, locations, easily replaceable offers, etc. This trend is becoming more popular. Direct, Target, and other unintelligible words leading to more customers for 10 rubles/customer. Job in a federal company, up to 100 applications on our special website every day. Selection criteria, interview scenarios, job descriptions in the form of a flowchart and infographics, customer meeting briefs, and sales scripts: every employee does everything according to the rules profitable for the company. Your staff smile, get to work on time, seek to upgrade their skills, offer complex services, and sell goods from the showcase. Unification and work at our prices throughout Russia. You will save up to 40% on monthly purchases. We place orders in factories in advance. Deliveries to any partner city take 1 week. The cost of procurement is 20% lower than in factories. but you pay only 200,000 rubles! and what is our benefit? Our goal is to open 1000 salons by 2020 and become the chain number one in Russia and the CIS. We have invested a lot in the development of our technologies by today, so now we can easily share our experience with you. We also save a lot on procurement – we share this savings strategy with you. Инвестиции: 450 000/650 ООО руб. Send your request to get a detailed consultation from our project manager on your salon rebranding.